You can make some extra money online by using AliExpress to sell products to online shoppers. Affiliate marketing and dropshipping are the two primary ways AliExpress helps online entrepreneurs earn money. There’s a lot of know-how that goes into creating a successful eCommerce site – whether you’re simply affiliating with AliExpress, or dropshipping their products for maximum profit. By reading this guide, you’ll learn from my experiences selling products from AliExpress to online shoppers. I’ll compare different platforms and helpful plugins for building your site, as well as opportunities to earn money without building your own site. In my opinion, the key to lasting success is actually being helpful. If your website has information on it that’s designed to make shopping online easier, you’re on the right track. If you stick with it, you can earn a significant income from home, or wherever you can find an internet connection. And the best part is that your online store operates 24/7, even when you’re sleeping. 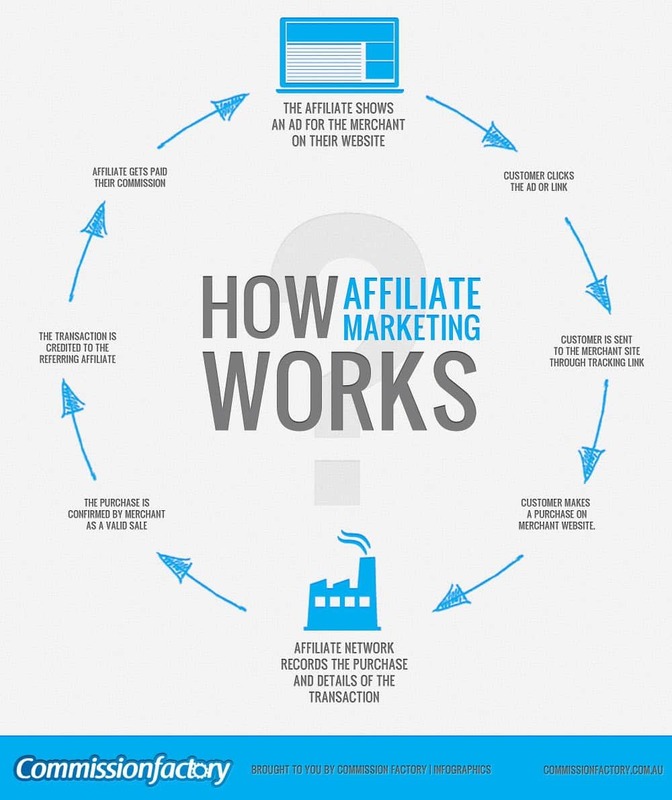 How does an affiliate marketing program work? How much money can I make as an AliExpress affiliate? 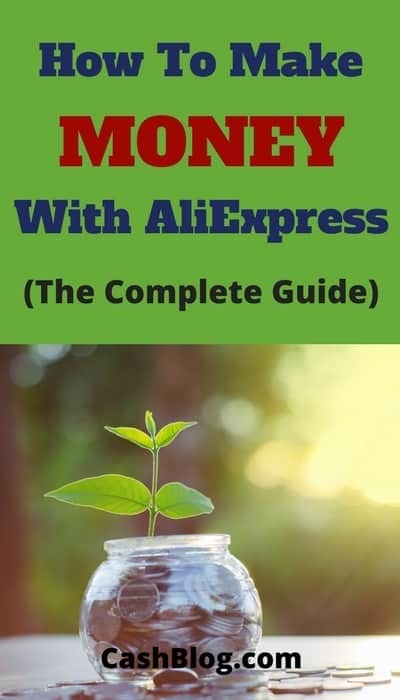 Yes, You Really Can Make Money with AliExpress! AliExpress refers to their Affiliate Program as the Portals Affiliate Network. Registering is pretty easy, and you earn a commission on every sale your website generates. An affiliate program allows your website (eCommerce site, blog, etc.) to place unique links into your content. When a visitor reads about a product or service on your website, their computer is given a “cookie”. This tracking cookie lets AliExpress know that when they visit the eCommerce platform, your website is responsible for generating that new customer, or encouraging a prior customer to return. The only part of the transaction that you are responsible for is product education. This can be promotional in nature, or strictly informational. Your site visitor will hopefully trust your advice, and follow-through on the purchases you recommend. Everything else, from order fulfillment to ongoing customer service, is handled by the sellers on AliExpress. The commission you receive, in return for sending the customer to AliExpress, is a percentage of the total order that the customer places. You can earn commissions from multiple sellers and orders on AliExpress. For this reason, it’s important to research what products are selling well, and how generous the commission rate is for each product category. For example, you could target customers with your affiliate site that are considering a major purchase; like a TV, a new laptop or a smartphone. Because the total cost is high for these items, your commission per sale will be higher. But, these items might not sell as often as a less expensive item (car chargers, sunglasses, earbuds, etc.). AliExpress sells hundreds of thousands of products to customers in more than 200 countries. Affiliate marketers have the opportunity to earn a commission from a huge customer base in need of a wide variety of products and services. Because AliExpress realizes they are competing for affiliate marketers with juggernauts like Amazon, they generally offer higher commission rates. These can be as high as 50% commission on some items. If you believe reports from existing AliExpress affiliate marketers, the average commission seems to be 8.5% across all of the different categories on AliExpress. It’s very difficult to find reports on what the average commission is; AliExpress certainly doesn’t make this available. I’m not very worried about this, because the average for any affiliate marketing program is going to be artificially low – mainly because the barrier to entry is so low. Becoming an affiliate simply requires a 2 minutes signup process. What percentage of people do you think really give their all to making money as an affiliate? I’d guess it’s not a big number. The information that AliExpress does make available is the conversion rate of visitors that reach AliExpress’ site. 3.5% of the traffic that their site receives will complete an order on the platform. And, the average order size is $140. So, with a little back of the napkin math, we can figure that your site would need to generate 100 AliExpress visitors in order to earn $41.65. Assume 100 visitors generated by your site – an easy, round number. 5% conversion means that 100 visitors would generate 3.5 orders. With an average order size of $140, that means $490 in order revenue per 100 site visits (3.5 x $140). An average commission rate of 8.5% across all of AliExpress’ product categories means that your site would earn $41.65 in commissions ($490 x .085). Are you up to the challenge of generating 100 unique AliExpress customer visits in return for $41.65? Of course, this isn’t factoring in repeat orders placed within 30 days of visiting your site – you earn a commission on every sale generated for a full 30 days after someone visits your site. Multiple orders can really add up! 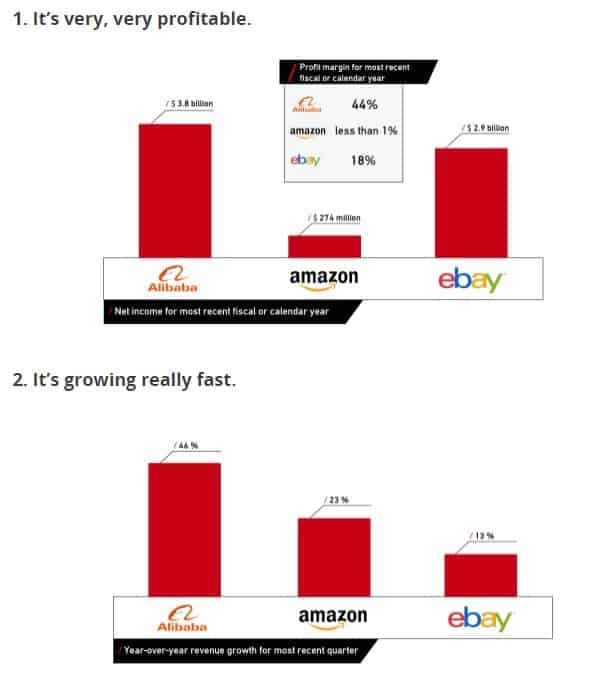 The good news is that AliExpress (Alibaba) has sold more products in the past year than eBay and Amazon, combined. And affiliate marketers earn commissions for transactions that are generated within 30 days of a visitor viewing their site and receiving a cookie. This is a huge advantage over sites like Amazon, which give affiliates 24 hours to generate a sale before the commission cookie is reset. Once you’re signed up for an affiliate marketing account, you’ll be able to view the current commission rates AliExpress offers for different product categories. This will dramatically impact which items you choose to promote. The table below is offered as an example of what AliExpress offers marketers. This is not necessarily a current, accurate representation – it’s only accurate as of the publication of this guide. What’s interesting is that AliExpress changes the commission rate based on the language of the shopper. So, if an order is placed in a Russian speaking country, you’ll earn less than you would on an equivalent order placed in an English speaking country. My guess is that their number crunchers have figured out that English speaking countries, like the US, are more developed and generate larger volume orders of lucrative products. This should definitely impact the geographic targeting of your affiliate marketing site. 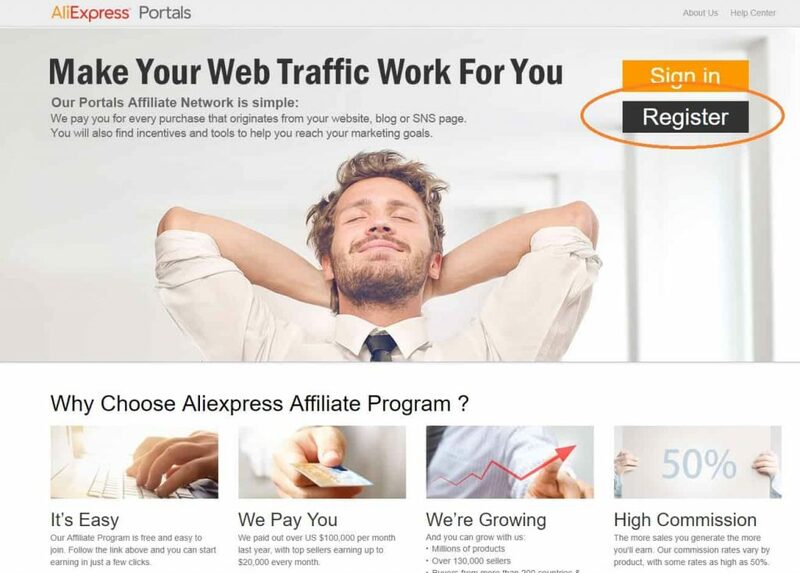 AliExpress also rewards affiliate marketers based on how much revenue their traffic generates. The more you help AliExpress sell, the larger your commission rate becomes. Clearly, AliExpress is interested in incentivizing the most effective marketers, at the expense of less experienced members that are still learning the ropes. For up-to-date information on how AliExpress calculates commissions, please visit their knowledge base article (the same place where I found the above screenshots). The process of generating traffic for one of the world’s most popular eCommerce platforms doesn’t come without some unique challenges. Products are not brand names. So, ranking in search for brand names and popular products will not be as helpful as with other sites (Amazon affiliates). The customer needs to be okay with the product taking weeks or more to arrive at their doorstep. This can be a major barrier to sales. Hopefully the savings will be enough to nudge them over this hurdle. There can be a language barrier when dealing with AliExpress’ Chinese customer and affiliate support team. Be prepared for a little bit of extra frustration when dealing with challenges; like when you need clarification as to why your commission doesn’t match the revenue report. AliExpress isn’t a household name, like Amazon. So, there’s more selling involved in getting new customers to trust it. You’ll only earn a commission after the customer has accepted their order at their doorstep. This means that international shipping delays and product returns impact how quickly you are paid. 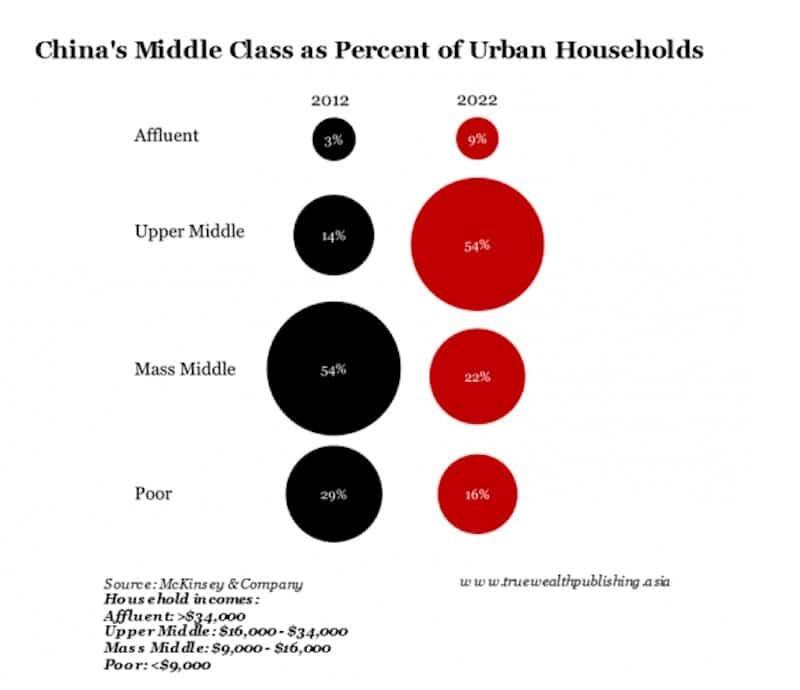 The low hanging fruit in Alibaba’s market are the 750 million Chinese consumers living in urban, more affluent areas. Unfortunately, AliExpress does not sell to these consumers, so you are forced to sell to consumers that are less familiar with the Alibaba brand, and have to wait weeks for their international shipment to arrive. Plus, there’s a possibility that they will have to pay an import fee. Learning to code a website, stock it with items and market your site effectively is a hassle. In fact, it’s one of the biggest grinds in affiliate marketing. AliExpress makes stocking your affiliate site with their most popular and relevant products easy. Their collection of affiliate plugins allow your site to constantly update with new product listings, targeted ads and intelligent product offers to the targeted audience that visits your site. If you’re comfortable with coding, great! You can start building a fully customized website to help you earn maximum revenue from your affiliate relationships. But, the vast majority of successful affiliate marketers are not coders – they are determined marketers and product evangelists. If that’s you, then you’ll want to use WordPress (a free CMS) to get started. Purchase a domain for your affiliate marketing site – preferably one that includes a relevant keyword, is short (2-3 words), and broad enough so you can expand your site if needed. Select a website hosting service that includes CPanel (pictured above) with their shared hosting plans. 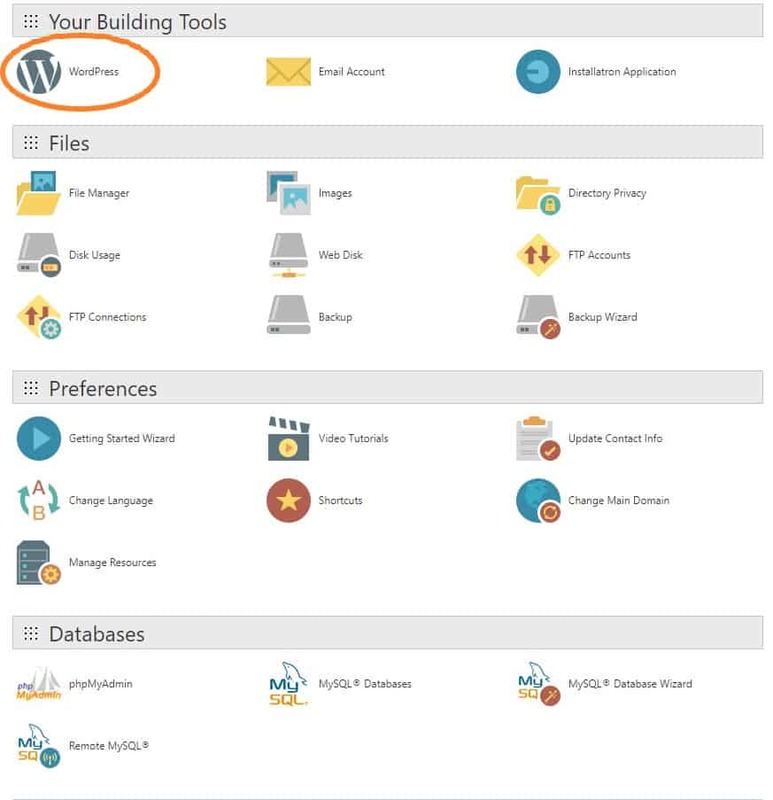 Use CPanel to install WordPress in a matter of clicks. Configure WordPress using the vast number of themes and plugins that are available. When it comes to selecting themes, you really can’t go wrong. But, there are certain themes that I’ve seen work really well with an AliExpress affiliate marketing site. 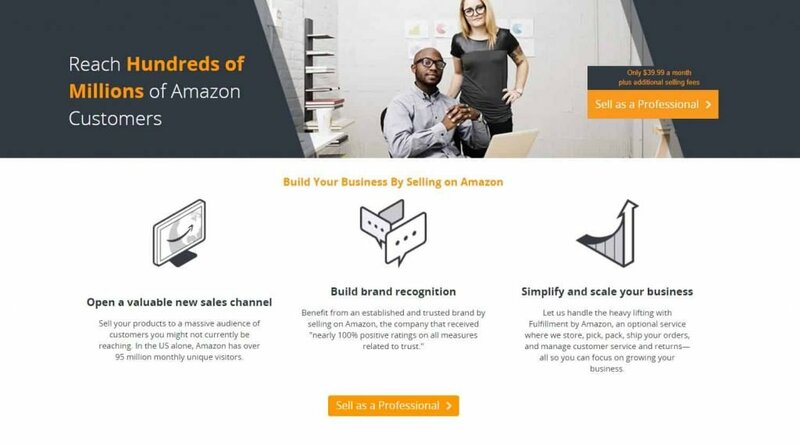 Product Comparisons: Helping customers learn about the various solutions to their problem, and directing them to buy the best solution through affiliate links is a great way to inspire your visitors to make a purchasing decision. Search Engine Optimization (SEO) Elements: In order for Google to list your site in their search results, you need certain elements to be present. Editing this information for each page can be time consuming without a theme that supports these changes with a graphical user interface (GUI). Note: If you go with a theme that doesn’t support easy SEO edits, you can always use the Yoast SEO WordPress Plugin. Automated Product Updates: Easy implementation of WordPress plugins, like Content Egg, allow you to keep product information updated, and automatically inject your product reviews with relevant affiliate links. When information is updated by AliExpress, your site information changes – insuring accurate pricing and availability. Flexible Categories: Your site’s visitors want to be able to browse all of the products that you recommend for their needs. Categories allow your site to make recommendations to visitors as they look at related products. And, if they want to browse, it gives them a filtered view that they can enjoy scrolling through. Intelligent Search: Categories are great, but sometimes your visitor just wants to find the exact product that they already know they’re looking for. Your site needs to give them this information, quickly. And, for the shopper that isn’t quite sure, intelligent search allows for related terms and keywords that they are comfortable using to direct them to the items on your site that can help them – even if they don’t know the exact name. For a site like AliExpress, this is really important, because the brand names on their site are different than the ones that most customers are familiar with. Membership Sign Up and User Management: When someone visits your site and leaves, you’ve lost the ability to easily reach them again. But, if you can encourage them to provide contact details, you’ll have the ability to directly reengage them via email. This is important, because email marketing remains one of the most effective ways to build loyalty and increase repeat visits to your site. Imagine that you are able to get an AliExpress shopper to visit your site once a month. Because you get credit for all the AliExpress transactions you generate for a full 30 days after someone visits your site, you would be able to continue getting commissions, month-after-month, if they continue to visit your site and shop on AliExpress. If this shopper is buying wholesale for a retailer, you’ve just hit the jackpot. If you are just planning on writing best X for Y articles with AliExpress affiliate links (ex. best earbuds for runners), you don’t need a fancy store type theme. A regular and even free theme would do it. 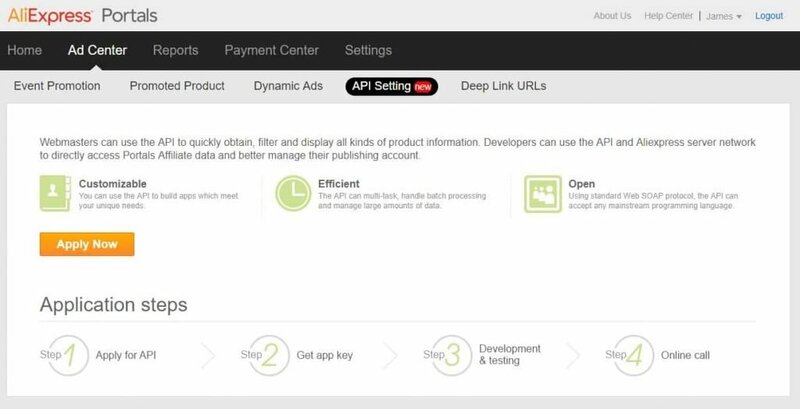 If you’re unfamiliar with what an Application Programming Interface (API) is and how it can be used to give your affiliate site some serious brainpower, checkout the quick video below. Having trouble streaming the video, or don’t have 3 minutes? Let me quickly summarize. An API connects your affiliate site to AliExpress’ database of products. When someone visits your site and searches for a product, AliExpress’ API translates that request into something AliExpress’ platform can understand. The API, once configured to work with your site, will help display accurate, personalized information directly from the AliExpress platform. The investment of a few hours in setting up your site to work with AliExpress’ API will save you an incalculable amount of time over the lifetime of your site. Instead of manually updating details for hundreds of products on a daily or weekly basis, the API fetches fresh information every time a visitors puts through a request on your site. Some affiliate marketers prefer to keep the entire transaction, from product education to order placement, on their site. The advantage is that visitors to their site are interacting and becoming familiar with their personal brand and site. Instead of just serving as a product advisor, their site looks more like a storefront for all of the products that AliExpress offers. Order fulfillment and customer service is still handled by the AliExpress seller, and a better user-experience might mean that the buyer purchases additional items through the affiliate site. If you decide to go this route, make sure that you set proper expectations with the customer – especially in regards to the delays associated with international shipping. Does the hassle-factor of building a site scare you? I promise, the plugins I’ve covered make it really easy and a lot less time consuming. But, if building out your own site just isn’t for you, there’s still a way to earn money with AliExpress! One of the easiest methods, especially for people without a site, to quickly earn money with AliExpress is by referring their friends and family to the AliExpress platform. Sign up for an AliExpress account. This is totally free and gives you full access to the AliExpress platform. Approval of your application can take up to 72 hours. Use your affiliate account to generate unique links. These can be inserted into your website’s content. But, if you don’t have a site, you can send out these referrals via social media or email. Sit back and enjoy the commissions once your followers start placing orders. Please understand that this strategy requires the least effort, and generates the lowest ROI. It’s hard to convince people to purchase a product or use a new platform with a naked link in a social media post. Instead, I recommend couching your link in a well-crafted message. The content of this message will depend on your personal persona online. Remember how I mentioned some affiliate marketers love to keep the customer on their site, and process the transaction on their site through AliExpress’ API? It’s possible to take it even a step further. Drop-shipping is where you operate your website as an independent eCommerce site. The customer never realizes they purchased a product that was originally listed on AliExpress. And you don’t need to be a member of AliExpress’ affiliate marketing program. Instead, you build an eCommerce site that lists the products you love on AliExpress. You set the price for the item. When a customer orders the item from you, you place your own order for the item through AliExpress. And instead of your address, you input your customer’s address. The advantage of this approach is that you never have to pay up-front for inventory, or give up space in your garage to store products. You only order a product from AliExpress once you have a customer that wants, and has paid you for that item. And, you’ll earn a healthier profit margin because you set the price that the customer pays. Select a product category or niche. Build an eCommerce website. I recommend WordPress (see the WordPress eCommerce themes section above). You’ll also need to choose a payment processing system, like PayPal. Open a standard consumer account with AliExpress. Start communicating with sellers on the AliExpress platform that carry the items you want to sell on your site. Put a few test orders through. Pay careful attention to the quality of the product you receive, and take note of how long shipping takes. You may want to try multiple shipping providers. Remember, your experience will become your customer’s experience once you start making sales. Finalize your list of products that you want to sell. Pay attention to the total cost to you, and ensure all the information you list on your site is 100% accurate. Get the opinions of other people in your space on the layout and design of your site. Are your product pictures high-resolution? Is the information easy to digest? Do viewers feel that they can trust your brand to deliver? Start marketing your site. Facebook ads are extremely powerful because you can really zero in on the type of person that you want to see your ad. Content marketing is also a powerful, low-cost way to build out your site. Create content (how-to’s, product guides, etc.) that your target customer will find useful. Within the content, you can recommend the specific products on your site that you feel are the best fit for their needs. Focus on wowing every customer that places an order on your site. Process orders at lightning speed, and follow-up with a personalized thank you; this is a great opportunity to invite them to buy a complimentary product. When dropshipping, there are a lot of moving parts. You have to build relationships with sellers on AliExpress. Then you have to build and market a site. And that site needs to be stocked with accurate product information – something that requires regular updating. Then, when an order is placed, you need to alert the sellers and purchase the item from them on your new customer’s behalf. After that, the seller has to quickly ship the product to your customer’s door. Does it sound scary or complicated? Don’t worry! There are a number of plugins for your dropshipping site that can help automate some of this process. AliDropship is one of my favorite plugins because it allows you to use WordPress (a scalabe, free CMS for beginners), while leveraging some seriously smart software. You have the option of purchasing a fully hosted solution from them, but you’ll find that purchasing their plugin for $89 is a lot more cost-effective. Going to every product page on AliExpress and copying down details is very time consuming. A plugin can help you quickly import information directly from AliExpress into your site. And, you can do more than one product at a time – even an entire category in a few clicks. Caution: The sellers on AliExpress are not native English speakers. I recommend importing product images and details via a plugin to save time. Then, as your schedule permits, go back and edit these descriptions to better fit your tone and style. This is a really important step for creating a compelling, consistent brand. Moreover, Google doesn’t like duplicate content and wouldn’t rank your site high in the search results if you would copy everything exactly from other websites. It’s recommended to write your own unique descriptions for each product. From time to time, sellers will change the amount they charge for their AliExpress listing. If you fail to catch this, it’s possible that a customer could place an order on your site at an old price point, causing you to lose money. AliDropShip allows you to set the profit margin for each product, or category. Then, the plugin checks AliExpress for updated pricing. It adds your profit margin to the current price, and then automatically updates your site. This saves you a ton of time and helps to prevent losses due to inaccurate pricing. When a customer places an order on your site, AliDropshipping creates a draft order for you in your AliExpress account. Once you’ve confirmed the details (including the fact that your customer has paid with a valid payment method), you simply hit “order”. Caution: When checking your automated order, make sure that your preferred shipping method has been selected. This helps to prevent shipping delays, which aggravates customers. How many visitors your site has received. Your site’s revenue – broken down by day, month or year. The number of products currently in your catalogue. The number of orders, compared to past performance. This kind of information really gives you the power to understand how your site is performing. In addition to this internal information, I highly recommend using Google’s free Google Analytics platform. You’ll gain insights into how popular each page of your site is, and how customers are reaching your site. Oberlo is another powerful plugin for AliExpress dropshippers that I can’t recommend enough. You’ll find that most dropshipping sites either use AliDropship or Oberlo. There is a free option! When launching a dropshipping site, funds can be tight, especially before your site starts to generate sales. Oberlo allows you to start using their product for free. Granted, you won’t have access to every feature. But, there’s more than enough room for you to get started. 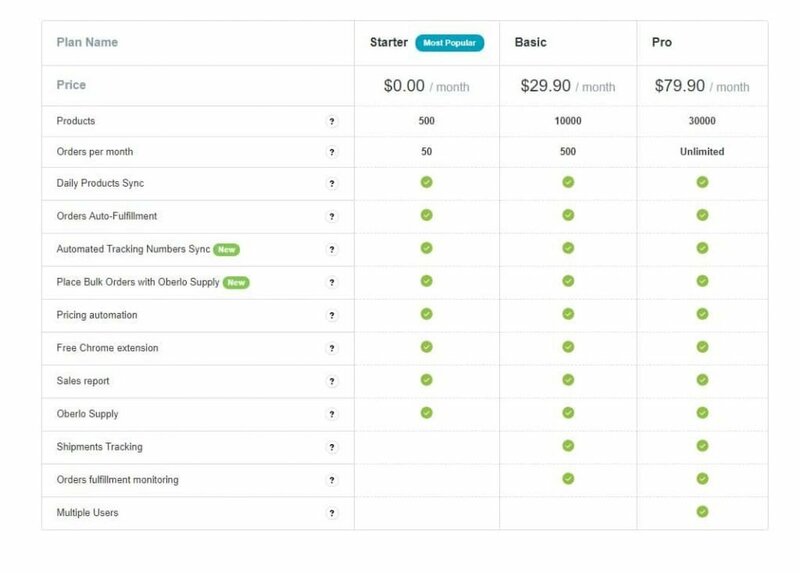 Oberlo gives you the ability to upgrade or downgrade between plans each month. This means that you can just pay for what you need as your site grows. Then, once you’re generating more than 500 orders, you can upgrade. Over the course of a year or two, you’ll find that Oberlo is more expensive than AliDropship. But, you get access to some additional features that I think are important. Other plugins rely on AliExpress to track your orders. With Oberlo, your dashboard includes information on shipments. By importing the tracking numbers from the orders that Oberlo helps you process, you have real-time insights into how quickly products will arrive at your customer’s door. You’ll also know when an order has been delivered. This should trigger you to reach out to your customer and ask them if they’re enjoying the item. Remember: the best dropshipping sites build lasting trust with their customers by finding ways to show they care more than the other sites offering similar goods. The chrome extension from Oberlo makes product import really easy. And, because it’s built into your browser, you can use it to filter the items you’re considering adding to your store. This is useful if you want to only carry items that qualify for ePacket shipping – a cheaper and faster way to import individual items from overseas. Every aspect of Oberlo can be accessed by members of your team, based on the permissions you give them. For single individuals operating a store, this isn’t a big deal. But, if you decide to expand and bring on other people to help you operate your store, this feature really allows you to unlock your team’s potential, without giving them your admin login credentials. You’ll almost always make more money, over time, by building your own site and stocking it with products that you can dropship. But, if you’re in a pinch and need to make money quickly, I recommend selling products from AliExpress on Amazon or Ebay. This process does not require you to build your own site. Instead, you simply open an Amazon selling account and start listing your favorite products from AliExpress. Dropshipping on Amazon can be done manually, without a site. Or, you can use Shopify’s Amazon sales channel to publish your product listings on Amazon, in addition to your own site. Oberlo is fully compatible with this – allowing you to automate order processing for orders made on Amazon, as well as your own eCommerce site. You’ll reach customers that are already on their platform. Your goal shifts from marketing an unknown site and brand, to marketing your brand within a known market that your customers already trust. Minimal up-front cost. You only pay the fees associated with using someone else’s platform. You need zero knowledge of coding or website development. Even the free content management systems (CMS), like WordPress or Joomla, require a bit of learning. You can use a third-party site to build up your brand. Amazon and eBay customer reviews can be referenced in marketing materials for your future site. And, if you’re lucky, customers will start to recognize your brand as a result of the products you list and sell on Amazon or eBay. Amazon is a fixed-price market. You list an item, choose a price and fulfill orders as they come in. Sites like eBay, where consumers can bid competitively for an item, offer a unique opportunity for AliExpress dropshippers. Because AliExpress’ products come from China, and are produced with minimal cost, it’s possible to list items with an extremely low reserve. This means that you can take full advantage of a low price that jumps out at shoppers. And, when they get to your listing, they won’t be disappointed by the fact that your item’s reserve hasn’t been met. To clarify, a “reserve” is a term used on eBay to describe the lowest price that the seller is willing to accept for their item. While it’s really exciting to be able to offer the lowest starting price in an eBay auction, and take advantage of customer excitement to juice your profits, there are a couple reason I avoid dropshipping on eBay. Items you source from AliExpress require international shipping. This requires you to tell the eBay customer that your product will take significantly longer to ship than other similar items up for auction. There’s a possibility that your AliExpress seller will run out of inventory before your auction ends. 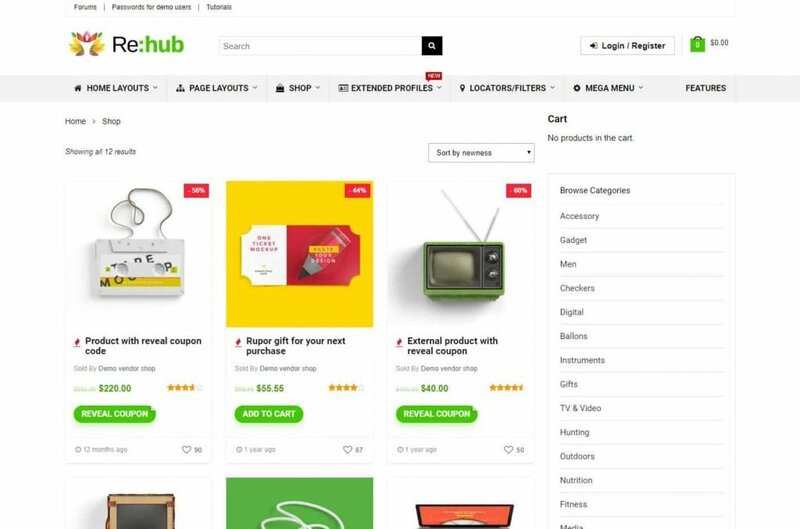 Because eBay listings can’t be automatically updated using plugins like Oberlo, you have to manually ensure that the item your selling is still available for the same price. This requires a lot of time and messing this up leaves you with the choice of losing money, or earning negative feedback on your eBay account. Ebay is known to hold funds if they feel that there’s a risk that the buyer will be unhappy with the product they receive. New sellers and individuals with negative feedback can be stuck in a lurch if they can’t access the customer’s funds to pay the AliExpress seller for the shipment. You could end up in a fight with both your supplier, and other dropshippers for the same customer on eBay. Dropshipping has become popular, and individuals without their own site have a hard time establishing a brand the earns profitable transactions. Out of everything we’ve covered in this guide, I recommend building your own site and marketing it to help online shoppers find the products they need. You’ll be able to earn money from your site in multiple ways, and you won’t be limited by someone else’s platform. I hope you’ve learned a thing or two as a result of reading this guide. It’s my goal to help you earn more money and live the life of your dreams – one step at a time. You can get started by signing up for AliExpress’ affiliate program. Then, get to work building your site. I promise, WordPress and Shopify are very easy to master if you put in a little time. And the plugins I mentioned will help you grow even faster. With a little trial and error, you’ll find the perfect products to promote and sell online. And, if you’re willing to engage with your customers, your relationship with them might lead to repeat sales. So what are you waiting for? Get started! You can do this. And if I missed anything, or you have additional questions, I look forward to responding to your comments below. This post may contain affiliate links. This means that I may receive a small commission (at no cost to you) if you subscribe or purchase something through the links provided. Not all items recommended on this site are affiliate links. You will never see me post a link to a product or service that I don’t use myself! This is very helpful. If you want to start your own webstore, try the AliDropship Plugin. It’s a unique WordPress based solution that lets you set up your own AliExpress drop shipping store and easily import Ali products in just minutes. This tool is so easy to manage, that even a kid can launch a drop shipping store! The best part is that you can have your AliDropship plugin forever for just a one-time payment. No monthly fees unless you want hosting. Hi ive tried to signup to be an affiliate for alibaba / alexpress but it says you have to be a registered business? Can you clarify? Did you go to https://portals.aliexpress.com/ to try to register? I’m not sure if they have changed it now but before your sites URL was enough to sign up. I just wrote you the longest comment but my toddler turned my wireless off SOMEHOW, please can you email me and help me understand this further, I love aliexpress, I use it almost daily, if you could answer some questions? This was the most honest making money from home post I have seen yet! Thanks for sharing this. Will you recommended promoting a product niche or I should promote as many as possible to generate more sales. If you have a website that is in particular niche, then I would stick with products in that niche. If you have a wide topic website, you could promote many different products. Just make sure you choose products that are high quality with great reviews. Niche, beacause if you go general, you have what I call a brand identity crisis. Start out becoming a specialist in one area, then a you grow, add on different categories not fully related to your niche. For instance, Amazon started out as a bookstore, before they became the “everything store”. Tke things step by step, use http://fb-search.com/ to find amazing niche ideas on Facebook. How to they pay their affiliates? what method. Someone toll me you have to give them your bank account. Can they pay by cheque? I had send them more than one email for that but they never reply. They didn’t use to pay by check so I don’t know if things have changed now. “Assume 100 visitors generated by your site – an easy, round number. 5% conversion means that 100 visitors would generate 5 orders. With an average order size of $140, that means $700 in order revenue per 100 site visits (5 x $140). If you could help me, pls PM me. I own an e-store (onsitemall.co.za). I don’t know if I can promote AliExpress, Amazon and eBay products in it. Please visit my site and see and advise me accordingly. I am totally a novice when it comes to online business world.